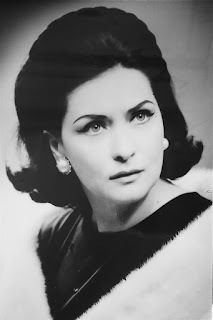 There are very few live videos of the incomparable Virginia Zeani - and even fewer of her in a staged opera. These three clips represent all we have of her - but happily they cover three of her greatest roles over the course of 15 years. All three are from her native Romania and were broadcast on TV, which means there is hope that the complete performances will at some point surface. La Traviata (1965) - her signature role - "Sempre Libera" and a snippet of the Act 4 duet beginning with one of the most heart-wrenching readings of "Prendi, quest'è l'immagine"
Great, great, great soprano! One of the greatest operatic singers in the world!